Here is a graphic for use on QRZ pages and so on, for use with the Diamond Jubilee QSO Party. The RSGB Award is available to any amateur station worldwide that makes contact with 100 special Q callsigns: GQ, MQ, 2Q. The Special Commemorative Callsigns are valid from 00.00 BST 5 May 2012 to 23.59 BST 10 June 2012 inclusive. 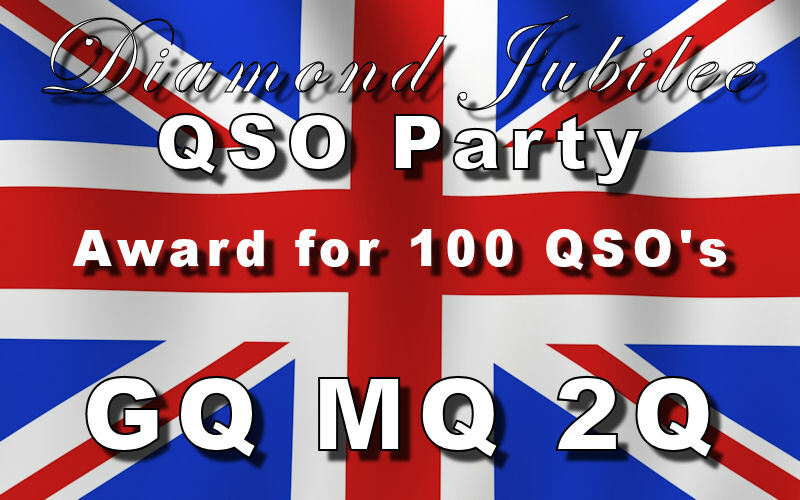 See Diamond Jubilee QSO Party Award for details. This entry was posted in Diamond Jubilee, Diamond Jubilee QSO Party, MQ0RIV on 03/05/2012 by G2DXU.